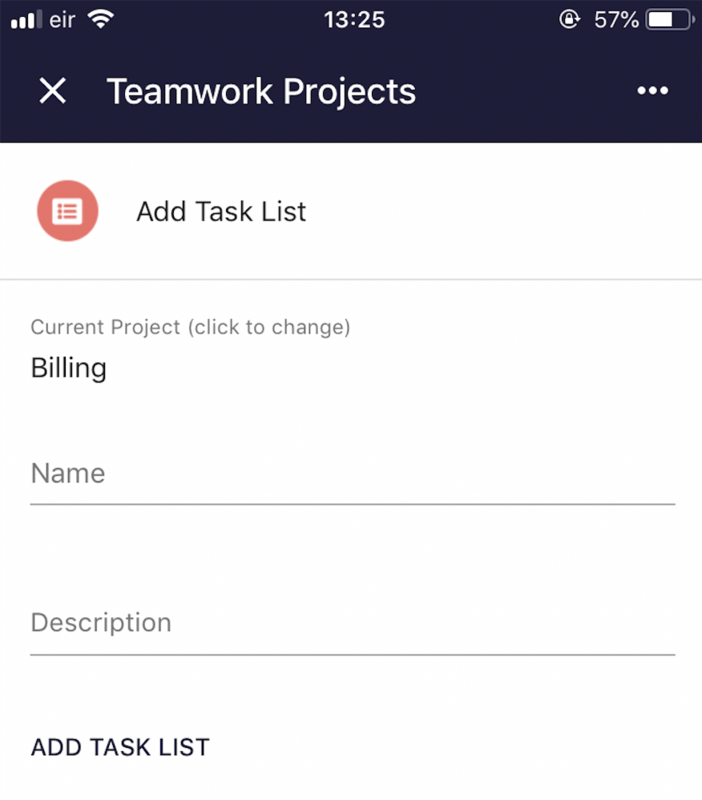 Within Teamwork Projects, you can use the Teamwork Projects Gmail add-on directly from the Gmail iOS app. 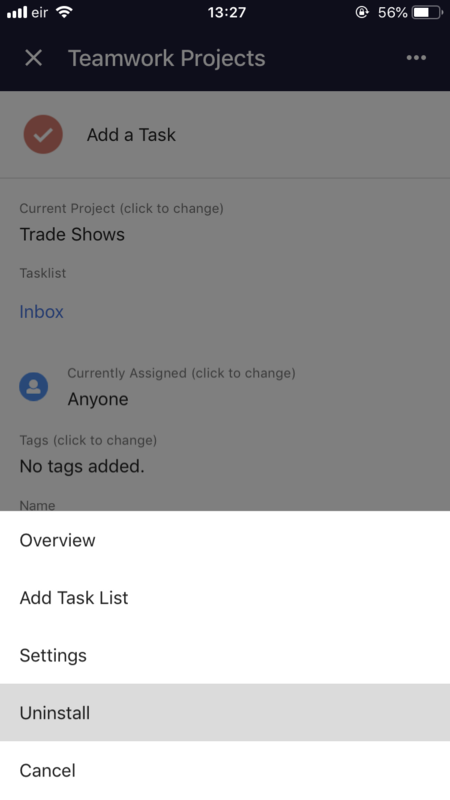 Note: You will need to install the add-on for your Gmail account in order for it to display in the mobile app. Scroll to the bottom of an email thread to access your add-ons. 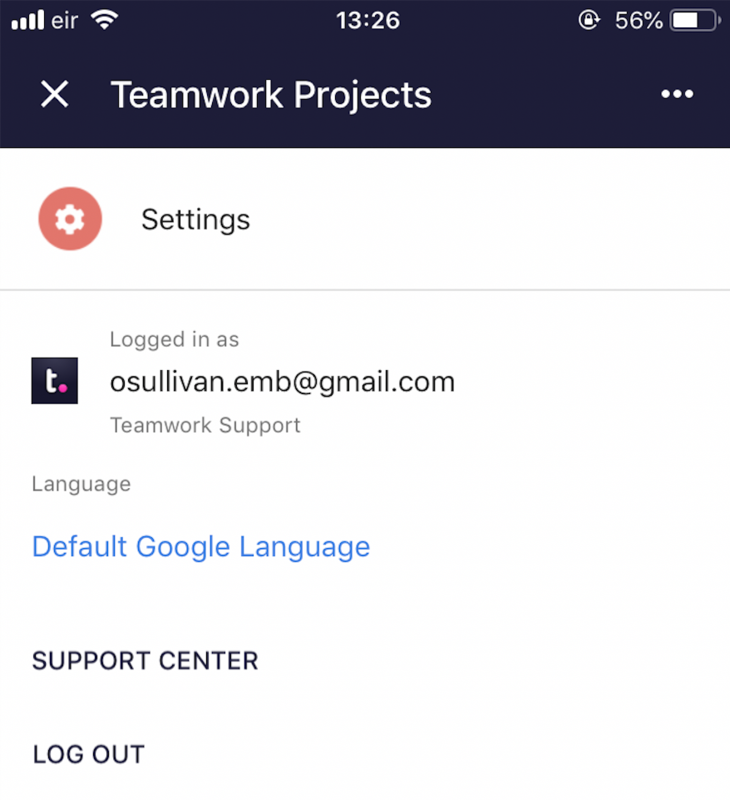 Select the Teamwork Projects icon to open the login modal, where you can enter your login credentials. 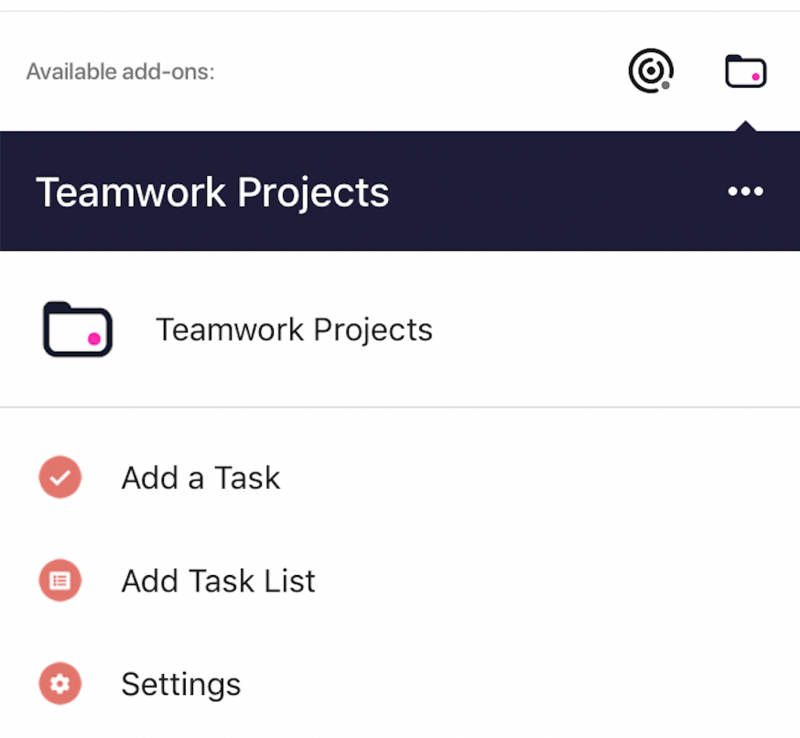 Once you have logged in to your Teamwork Projects account, you will be brought to an overview menu where you can add tasks and task lists, as well as access your settings.